He graduated from the Medical University – Varna in 1986. MBA “Business Administration” (2005).. Specialist in Surgery (1993). And subsequently Oncology (2005). In 2009. Is habilitated as “Professor”. In Bern, Switzerland (2004). Specializes Visceral Surgery in 2007. Dublin, Ireland – Laparoskopskakolorektalna surgery. Since 2001. by 2010. She is Executive Director of University Hospital “St. Marina “Varna EAD, then Chairman of the Board of Directors. Acquires academic degrees “Doctor” and “Doctor of Medical Sciences” by consistently defended theses “Diagnosis and surgical treatment of rectal cancer” (1998). And “New trends in diagnosis and treatment of colorectal cancer” (2008). Prof. Krasimir Ivanov is an innovator in its field, responsible for the discovery, deployment and validation of the results of a number of innovative methods and technologies. In 1996, he introduces completely unique to the country’s new approach in the diagnosis of rectal cancer – Endorectal ultrasound, which significantly improves surgical options for rectal cancer. It offers a new diagnostic approach in the treatment of colorectal cancer -molekulyarno profiling of tumor process by which achieves more accurate staging and identify opportunities for complex treatment. Certificates of quality management project Inselspital – Bern on the model of EFQM.  Award of the academic community of the Medical University – Varna – badge of honor and a diploma for special contributions and active participation in changes in the Bulgarian healthcare and raising the prestige of the Medical University – Varna. Honorary golden sign “For merits to Varna” to prepare highly qualified healthcare professionals to Varna and nationwide, investments for the introduction of modern healthcare in Varna at European and global level and enrich the cultural life and appearance of the city. The scientific activity of prof. K. Ivanov is represented by 342 publications. Of these, 106 are international and Bulgarian specialized collections and magazines. Prof. K. Ivanov has over 250 appearances with reports in international and national congresses and conferences. Participates in compilation of 24 books and manuals surgery, two of which in international cooperation. His first dissertation was “to diagnosis and surgical treatment of rectal carcinoma” protected in 1996., Which invented a completely new approach in the diagnosis of rectal cancer – dimensional assessment of endo-rectal ultrasound through newly created software later embedded in all modern ultrasound stations. The first release in the literature still belongs to prof. K. Ivanov – Ivanov K., C. Diacov – Three-dimensionalendoluminalultrasound – newstagingtechniqueinpatientswithrectalcancer – DisColRectum 40, 1997, (1) 47-50. The quality of the scientific work can be judged by his personal ImpactFactor, reaching 29.697, and General ImpactFactor reaching 84.27. His scientific works are cited by 51 foreign and 11 Bulgarian authors, including in some of the most prestigious scientific journals such as Lancet Oncology, DiseasesofColonandRectum, American JournalofSurgery, BritishJournalofSurgery, Radiology, and others. Active teaching of prof. K. Ivanov is connected to the education of students, nurses and graduate and doctoral students who have subsequently career by successfully defended dissertations and habilitations. 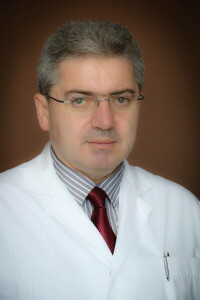 Member of the Bulgarian Doctors Union, the Bulgarian Surgical Society, Union of Scientists in Bulgaria, IASGO (International Associtation of Surgeons, Gastroenterologist, and Oncologist) – An international organization of surgeons, gastroenterologists and oncologists, ISUCRS – International organization of academics surgeons.